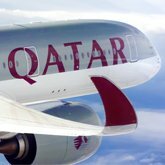 Qatar Airways will add 16 new destinations for 2018-19, it was announced at the ITB Berlin international travel fair. The carrier will become the first Gulf airline to begin direct service to Luxembourg. Other new destinations include London Gatwick; Cardiff, Wales; Lisbon; Tallinn, Estonia; Valletta, Malta; Cebu and Davao, Philippines; Langkawi, Malaysia; Da Nang, Vietnam; Bodrum, Antalya and Hatay, Turkey; Mykonos and Thessaloniki, Greece; and Málaga, Spain. In addition, services to Warsaw, Hanoi, Ho Chi Minh City, Prague and Kiev will increase to a twice-daily frequency, while services to Madrid, Barcelona and the Maldives will increase to three times daily. Qatar currently operates more than 200 aircraft via its hub, Hamad International Airport. Last month the airline welcomed the Airbus A350-1000, becoming the first customer for that plane.